I love the slightly sweet coconut flavor of this moist rice. Combine rice, coconut cream, coconut oil, sugar, salt, and 2 cups water in a medium saucepan. Bring just to a boil, stirring to dissolve sugar, then cover and reduce heat to low. (Alternatively, cook rice in an electric rice steamer.) Cook until rice is tender and liquid is absorbed, 40–45 minutes. 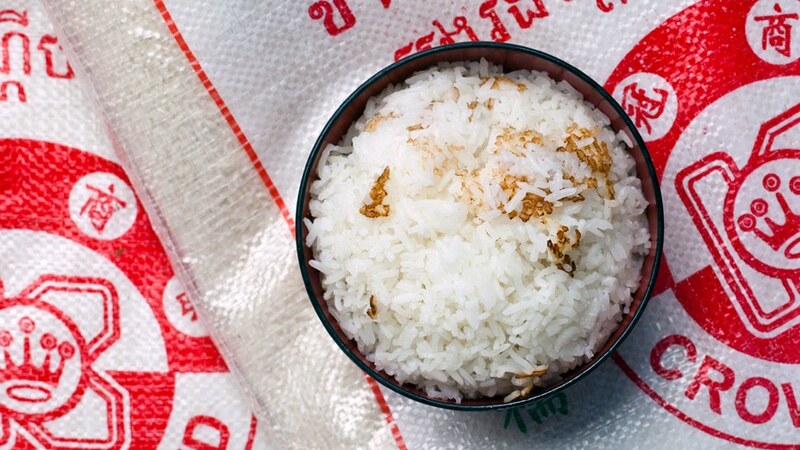 Fluff rice with a fork; cover and let sit for 20 minutes.